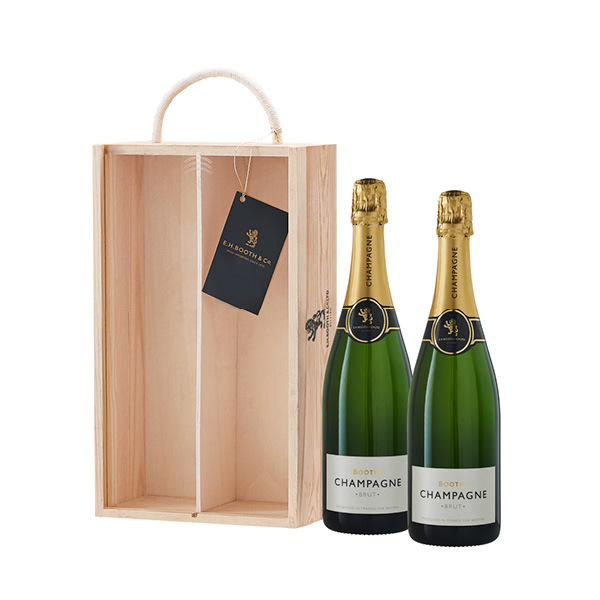 Two fantastic bottles of Booths Non-Vintage Champagne, beautifully presented in a branded double wooden gift box featuring a clear sliding lid and rope handle. So whether you’re looking to surprise a friend, family, loved ones, clients, colleagues, teammates or bosses – from rewards to thank yous, events to celebrations. Our beautiful gifts will certainly go down a treat!